This exceptional coffee was selected as the No. 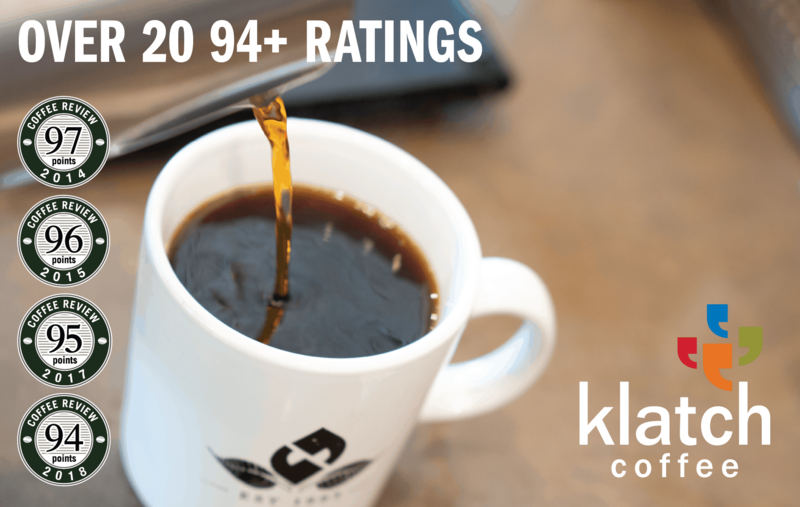 26 coffee on Coffee Review’s list of the Top 30 Coffees of 2018. From the Tumba washing station or wet mill operated by Venustre Mugraneza. Produced from trees of the Jackson variety of arabica, a local strain of the admired Bourbon variety. Wet-processed or “washed,” meaning the fruit skin and pulp were removed from the beans immediately after harvesting Corvus Coffee Roasters is based in Denver, Colorado and specializes in rare and exclusive coffees from some of the finest growers in the world. 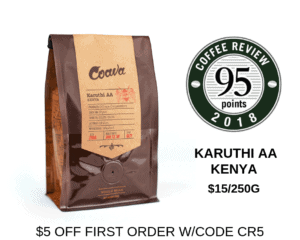 Corvus particularly focuses on processing methods and selective harvesting, which result in small, seasonal micro-lots of uniquely sweet, vibrant, and clean flavor profiles. For more information, visit www.corvuscoffee.com. The Bottom Line: Lovely expression of the genius of Rwanda coffees: roundly sweet-savory in structure, resonant in aromatics, luxurious in mouthfeel.